They do not know if the University they choose offers the course. 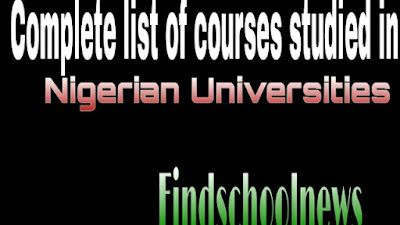 So we have listed out all the courses offered in Nigeria university, after reading this article you would know the right course to choose when you register for Jamb, jupeb etc and also check if your chosen university offers the course. 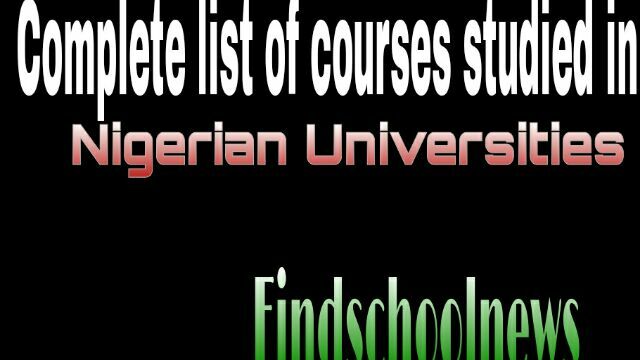 SEE ALSO:Best course to study in Nigerian. If you have anything to say about this list or you want to commend us kindly use the comment box below.